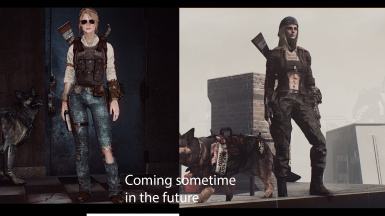 Fixed the Hipster coat issue where the arm was missing with the Pipboy. Updated version of AE patch for the main file V0.8 by zanyoutlaw. Thank you very much for the hard work! Fixed On the Go and Bright Side hoods with hair - should be much less clipping with the hair now. Experimental! 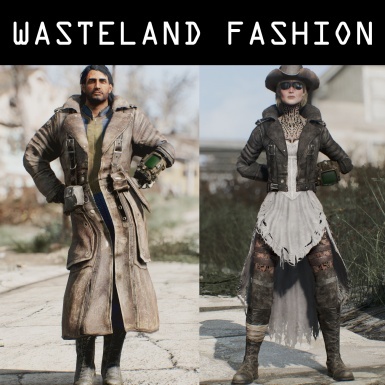 optional esp that adds Rodeo coats to a Wastelander Leveled list so they'd appear on some NPCs and should appear on some Scavengers, as well as adds all outfits to rare items vendor list. Adds Eva's hair (my char) from the Hipster screens called "Messed up". It looks okay at the front but at the back its very meh - stretched a lot and clips with the body as well as has crap ends. It was a request so I uploaded it. Use at your own risk. Added AE patch for the main file by zanyoutlaw. Thank you very much for the hard work! 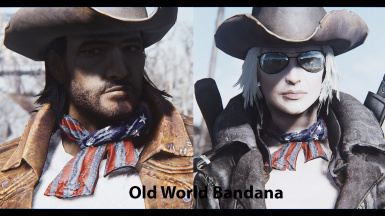 Added AE patch for the Accessories file by zanyoutlaw. Thank you very much for the hard work! 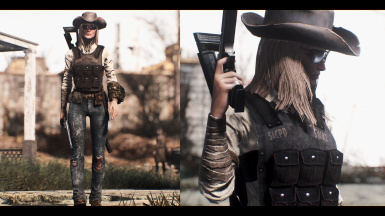 This little project brings several outfits into the Commonwealth for a more cowboy/girl/wastelander feel. It started off as a personal project to do something as lore-friendly as possible, but I liked it a lot so thought I could share it. 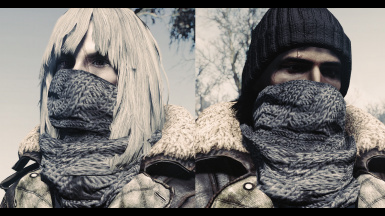 If you like this mod please visit the above folks and download and endorse their amazing work, as mine would not have been possible without them. 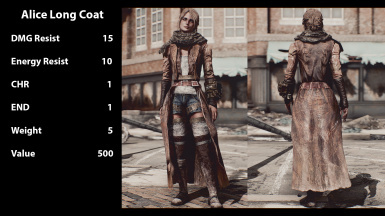 - Not really a bug but a certain light the bottom of the coat has a black line. Its not very visible, but I found no way around it so far. No longer requires AWKCR, just the base game. However, zanyoutlaw has created a patch for AE and AWKCR if you want to enjoy perks given by these two great mods. Armorsmith Extended for the AE patches by zanyoutlaw. 2. Drop the contents of the zip file into your Fallout 4 DATA folder. 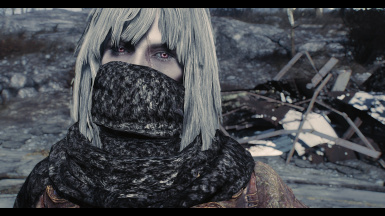 ShieldGuard is currently working on a mod which brings Caleb from Blood into the world of Fallout 4. 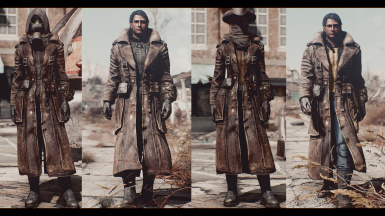 They are using outfits from WF to recreate Caleb's aesthetics. Here are some of the videos showcasing the mod. A: I like dirty But honestly I was going for something that would not feel out of place in the wasteland. I don't know if I succeeded, you be the judge. Though I am not changing the dirt. There are plenty of great clean outfits here, wouldn't hurt to have a few dirty ones. Q: So no clean versions? Q: Will you do other colors or retexes? Q: Will there be more outfits? 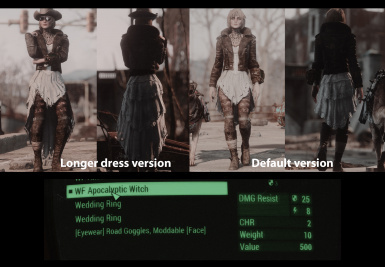 Q: Compatibility versions with other mods? A: No, I'm sorry. Unfortunately there are too many mods for me to create compatibility. If someone would like to do it feel free. A: Yes its there, available after Railroad quest. Q: Can they be used with armour pieces? - Tattoos from Kala's Tattoo Shop﻿﻿ by awesome guidethisonekalaheria.